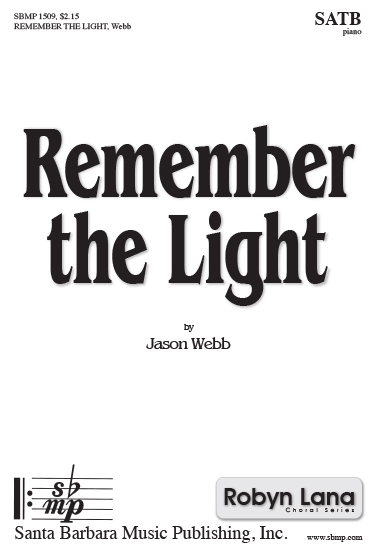 Remember the Light, Jason Webb | Santa Barbara Music Publishing, Inc. I fear that I have lost my way. as stars shine brightly inthe night. Remember the light and the light will find you. the day begins and dark gives way. yet vanish silently as a candle’s light shines on display. How far the candle casts its glow! And sharing helps the flame to grow. in search of all the good in each new day. Let the light so guide you on your way. remind of all that is true.